I know this place! What a neat picture. You should put where the picture was taken. I thought they were cool. I like the water tower. 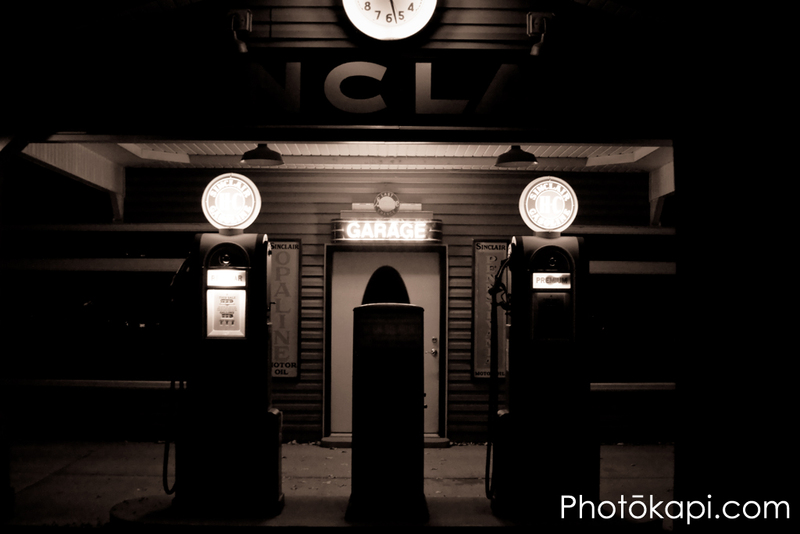 Where did you find the old gas station? The gas station is in American Fork. It has some neat old cars around it as well. I love this. It reminds me of stuff I studied in Art classes at BYU. I don’t remember the artists’ names, but the composition of it and the focus, I love it! Very impressive for handheld shooting. I love the composition and lighting of this one. Very classic look, and it’s very nicely framed. Very vintage. i am kelly’s mom and i love this picture! i would love a copy and pay you for it. we have antiques and are looking for a antique gas tank like these. awesome!